Though Waymo has yet to reveal what it would charge consumers to ride in a self-driving taxi, Google’s self-driving car unit began testing trip fares with riders in preparation for its official launch in Phoenix. While Waymo insists these figures are nothing more than placeholders, the early findings show that they line up with the likes of Uber and Lyft. The move does signify that Waymo is inching closer to launching its self-driving car operation. The company is believed to be launching its for-profit taxi service with a fleet of hundreds of self-driving Chrysler Pacifica minivans. The company will be testing vehicles in Phoenix, San Francisco and the Bay area, Detroit, Atlanta, and Kirkland, Washington. Starting this month, Waymo will start offering employees in the Valley Metro area rides to and from public transportation. Ride-hailing services will also be available to Valley Metro RideChoice travelers, which “negotiates deals with taxi companies and subsidizes rates to cover groups traditionally underserved by public transit,” according to The Verge. 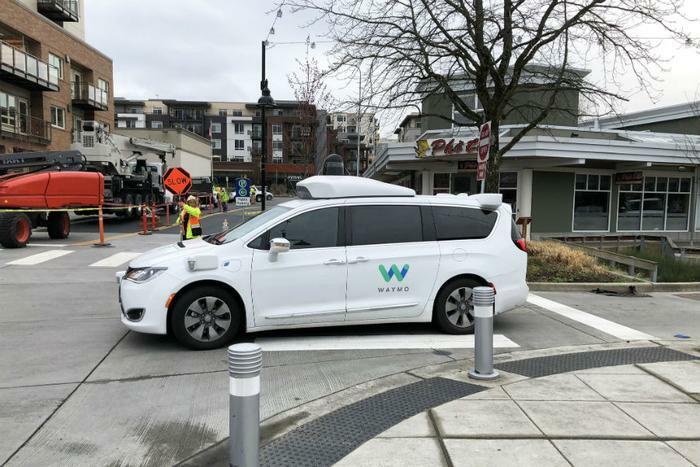 “This will form the basis of joint research to evaluate the adoption of Waymo technology, its impact, and its long-term potential to enable greater access to public transit,” the company said.